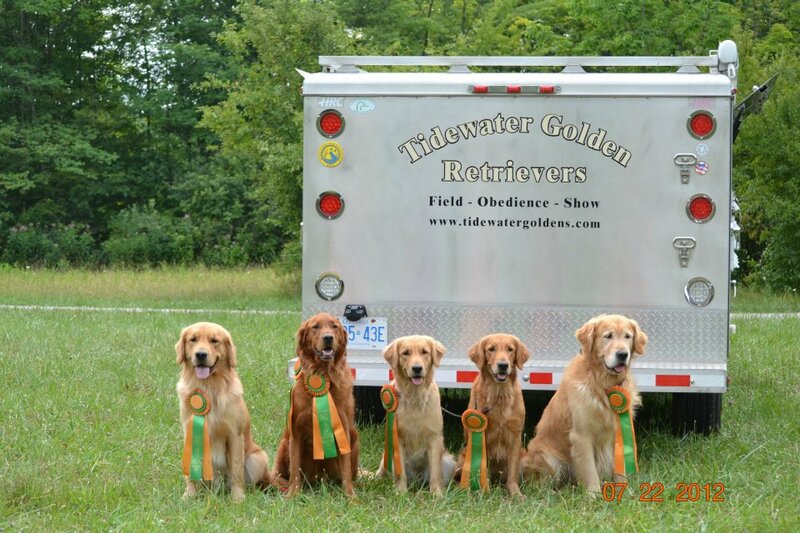 The other fun thing we did last weekend was participate in Cuyahoga Valley Golden Retriever Club's WC test. 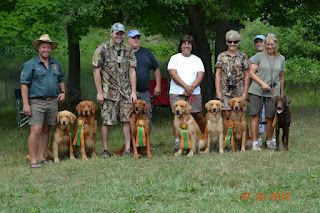 We've been down to Ohio the past few years to this WC test - the club does a wonderful job putting on the test and we are always happy to see so many lovely goldens. The club does a great job getting good judges and putting on such a nice test. 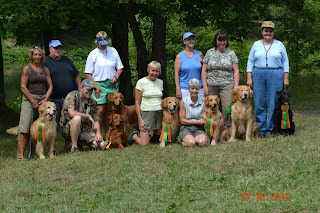 We met up with some of our friends we training with and everyone did very well. 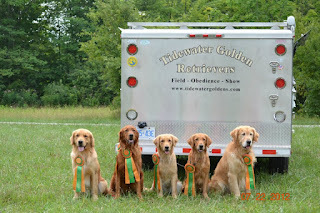 Even the couple of dogs who didn't pass still did nice work and their handlers did very well to get them where they needed to be.